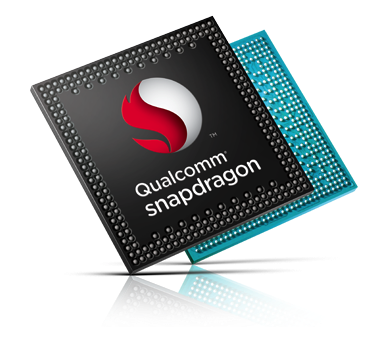 The Qualcomm Snapdragon S4 Play MSM8225Q is an entry level SoC for Android based tablets and smartphones. It contains four ARM Cortex-A5 CPU cores with a clock rate of up to 1.2 GHz, an Adreno 203 graphics card, an LPDDR2 memory controller, and a UMTS radio module. The performance of the Cortex-A5 cores is rather low (per clock) and therefore the quad-core is only on par with dual-core Cortex-A9 SoCs. The single threaded performance is however much lower. The integrated video engine allows the encoding and decoding of 720p videos. The Qualcomm Snapdragon 200 8225Q is an entry level SoC for Android based tablets and smartphones. It contains four ARM Cortex-A5 CPU cores with a clock rate of up to 1.4 GHz, an Adreno 203 graphics card, an LPDDR2 memory controller, and a UMTS radio module.